Both figures feature snap on blasters and electronic lights and sounds. Hit the title bar to check out this new set! Discuss on the Toyark Forums› Views: 6673 › Credit: len_d69 of the Toyark Forums! 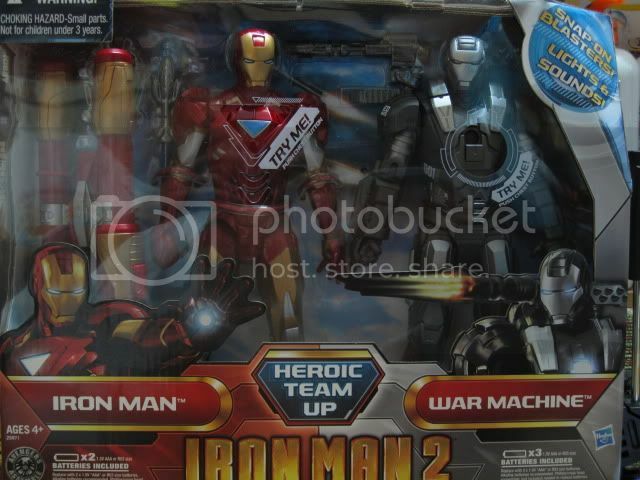 Just purchased this from TRU yesterday here in Malaysia. 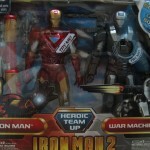 10" Iron Man and War Machine pack!!! 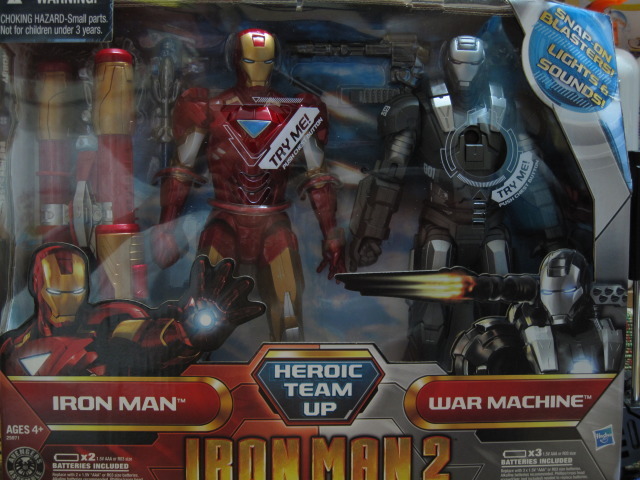 LOL...the way WM's cannon is packaged, and even the box art, make it look like he's trying to blow IM's head off. What does the switch in WM's chest do? awesome! how are the articulations on these bad boys? 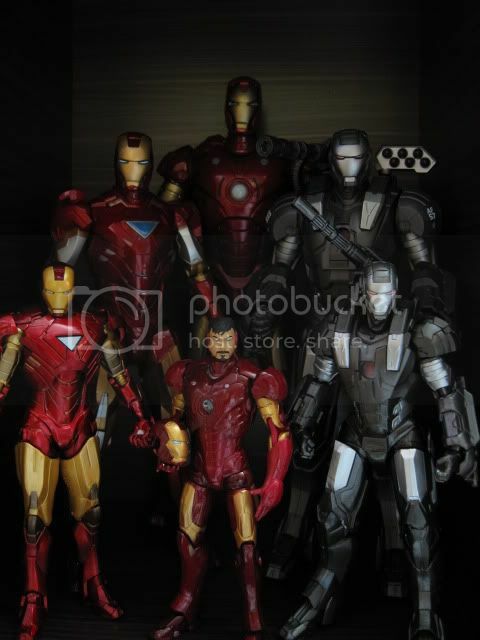 If they're the same as the original 10" figures released, swivel shoulder, hips and neck. 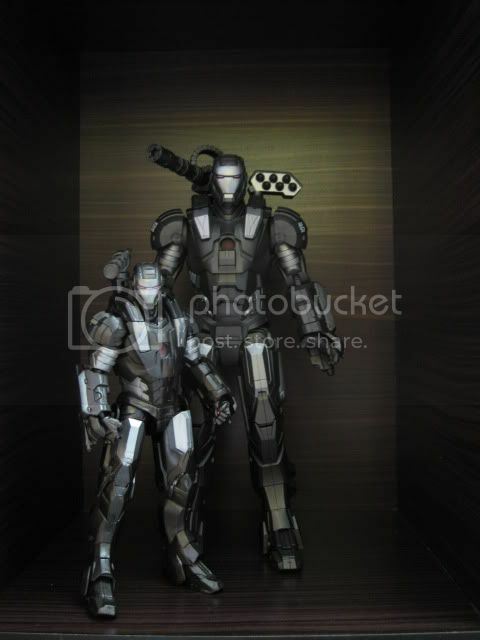 wow, already thought hasbro will release the war machine 10inch (have sound)...before they release this, i already think dont want buy the mark VI 10inch because he doesnt have a friends... and now he have it ! !...in malaysia? ?any one can advise which country have this one ?? Here are some quick pix. WM looks perfect! 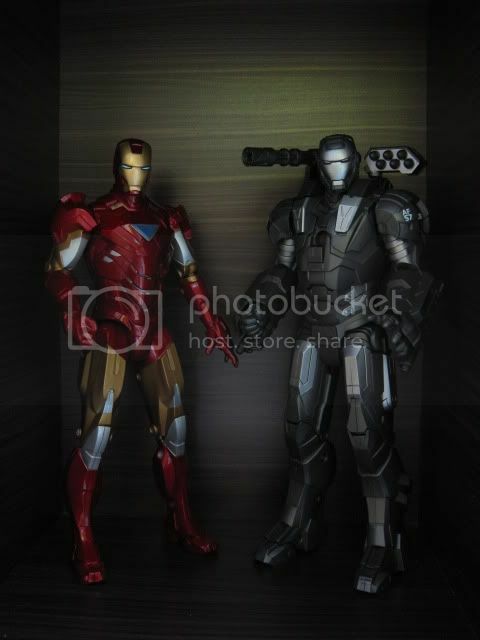 him and IM will be pretty awesome to display! hope to see this in my area. 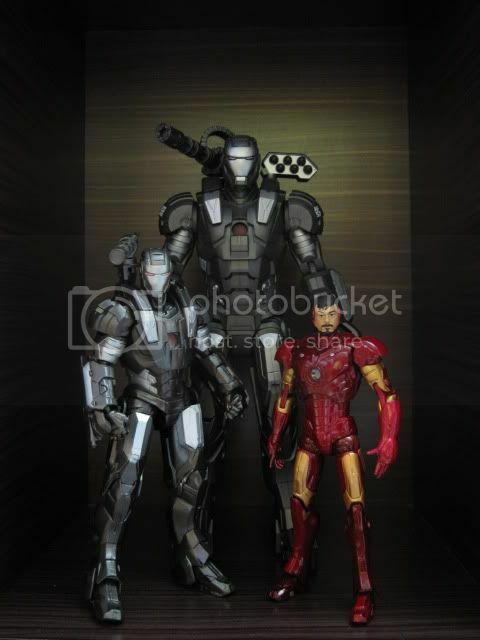 wow, its very nice for you to give a picture....is that war machine 8 inch figure beside tony stark mark III ?? Not sure if its 8 or 7 inch but it's the Marvel Select version. 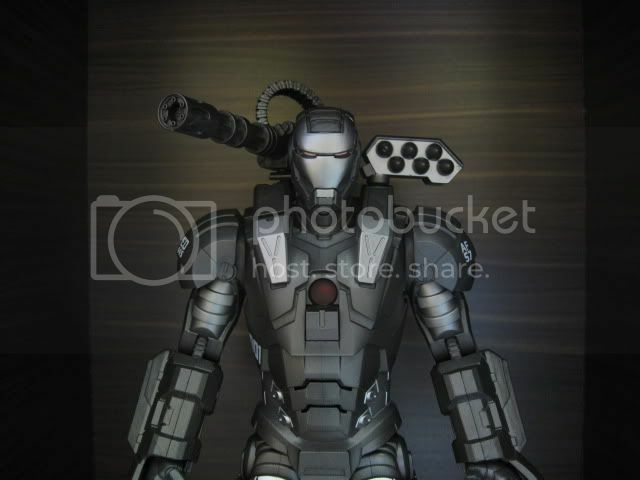 Here are some pics with 10 inch MK VI. That last one looks like a family portrait. 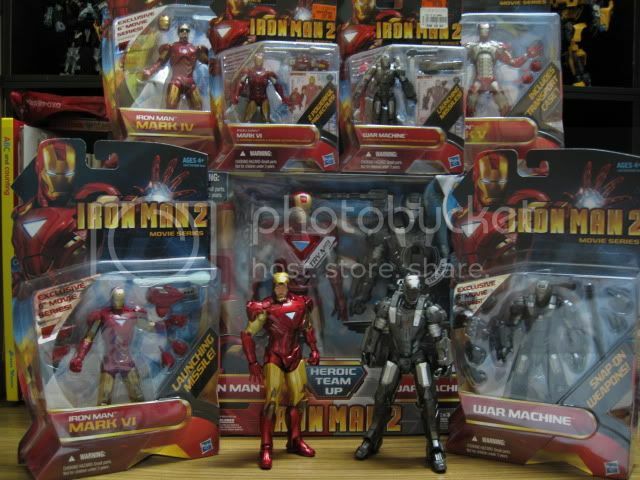 is the articulations same as 6 inch?